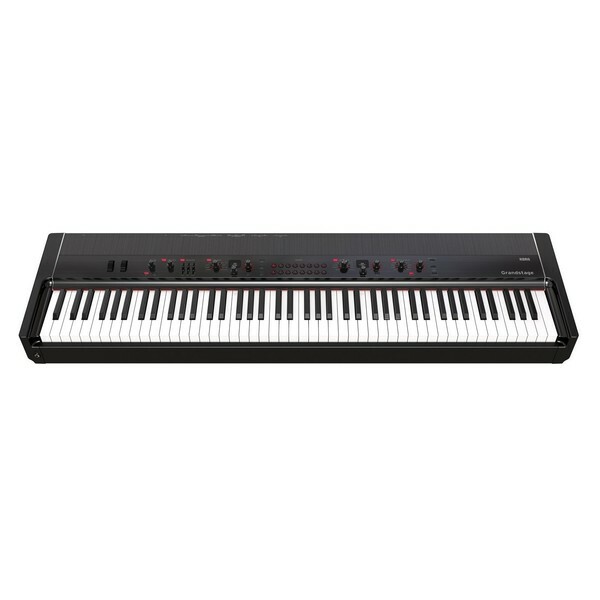 Indulge in the ultimate playing experience with the Korg Grandstage 88 Stage Piano. Featuring Real Weighted Hammer Action (RH3), the Grandstage piano offers a natural touch and sound you would almost mistake for an acoustic piano. 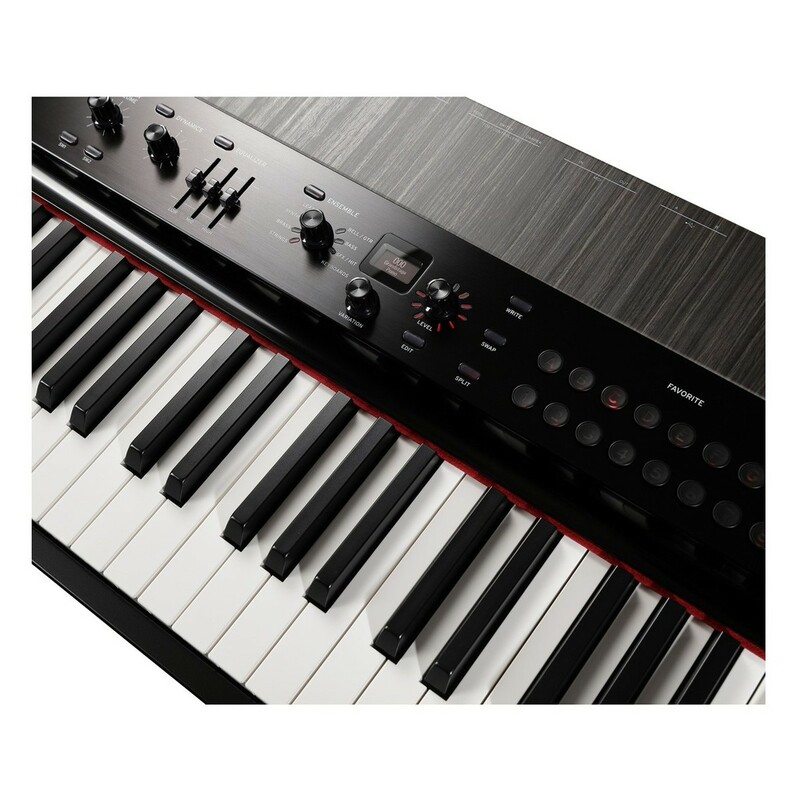 Built with a wide range of instant control functions, the Grandstage allows you to manipulate the articulation and expression of your performance at the touch of a button. Carefully designed with LED backlights, the Grandstage interface offers total control over your settings, and easy readability - even in low lit venues. Made sleek and simple, the Grandstage piano is easy to transport. 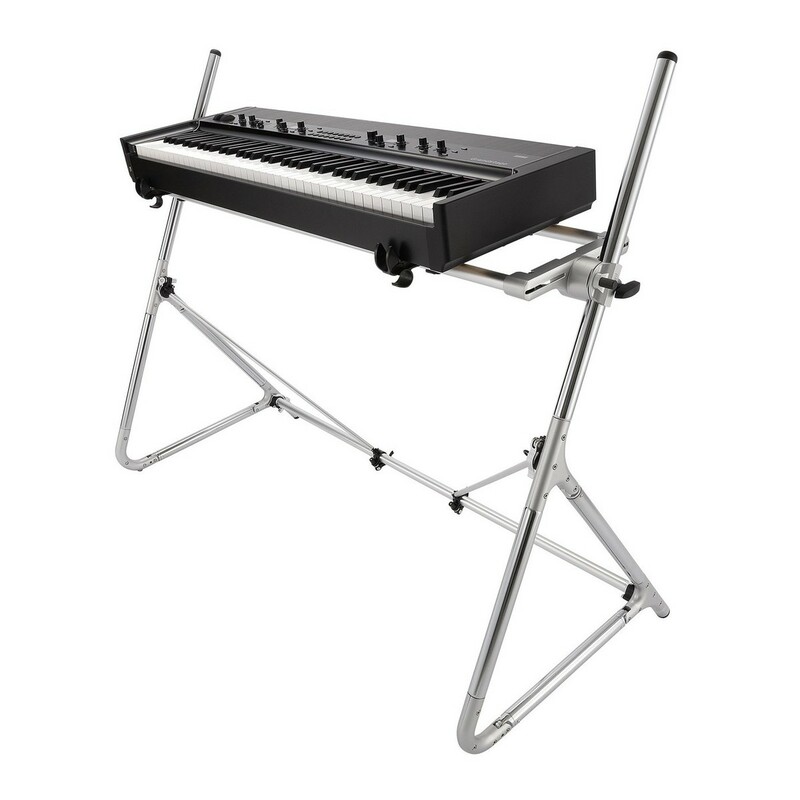 Packed with Korg's damper pedal and a specifically designed chrome stand, the stage piano provides you with everything needed to get right on stage. The touch of the Grandstage accommodates both the classic and the modern pianist. The keyboard is fully weighted, with real hammer action (RH3) . Serving you the most authentic playing experience. As the lower register keys bear a heavier response to the upper register . The responsive hammer action ultimately delivers an expressive performance. Faithfully communicating even the slightest nuances. 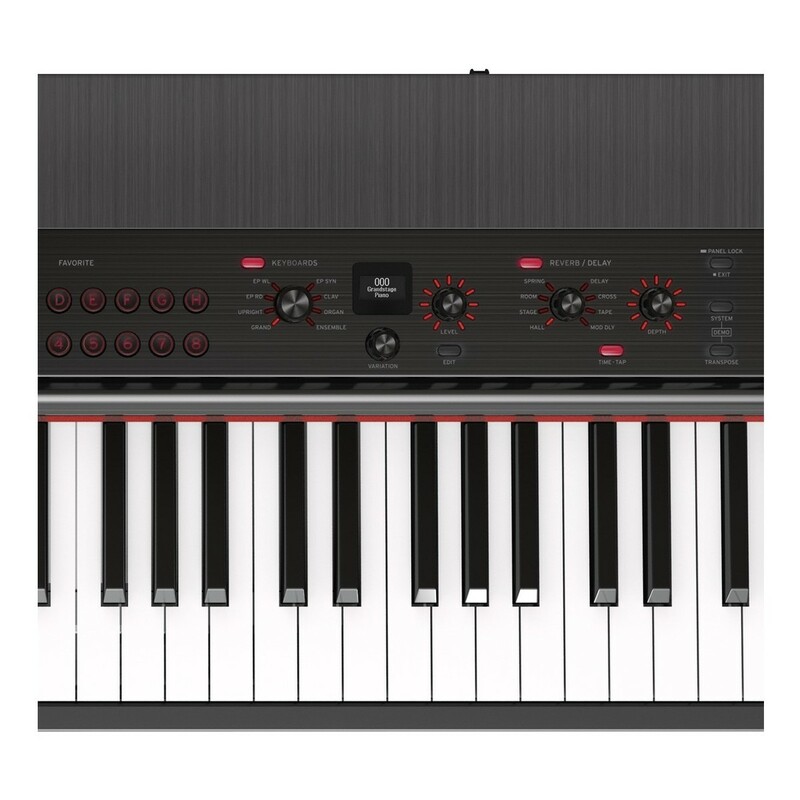 Korg have equipped the Grandstage with seven individual sound engines, offering some of the most versatile tones available. The SGX-2 engine covers the lush, organic tones required by acoustic pianists of both traditional and modern styles. The Grandstage’s EP-1 section features six vintage electric pianos that cover the classic tones required by jazz, funk and soul musicians. The EP-1 benefits from Multi-Dimensional Synthesis (MDS) technology, which delivers an advanced concept of velocity switching that facilitates a smoother transition into each sound. The organs are covered by CX-3, VOX a nd Compact engines, each producing individuality in its sound. These organ sounds benefit from an in-built rotary speaker effect system for the most authentic recreation. Explore a world of styles and genres with the Grandstage. Fully equipped with a library of accompaniment styles and instrument loops. The digital piano allows you to cover any musical genre you choose. Choose from a choice of five accompaniment parts, that offer an incredibly natural feel of a real live band. Faithfully recorded to produce the realest expression. And customize your sound until you create your own unique sound and style. The Grandstage’s range of features allow musicians to achieve new levels of creativity. The recall button is essential for musicians who use very specific tones or samples and can store up to 64 registrations. The ‘Dynamics’ knob sweeps through a range of EQ and compression settings so you can quickly achieve a rough estimate of your sound, which is ideal for quick tweaks between songs. This Grandstage also has a layer/split feature to combine ensemble and keyboard voices. All the sounds are smoothly transitioned into each other by the advanced SST technology, ensuring that there aren’t any uncomfortable switches between tones. Carefully designed to store multimedia files, the Grandstage allows you to play and record songs in MIDI and MP3 format. So you can record and play back, as you often as you wish and display your lyrics and chords on the Touch View interface. 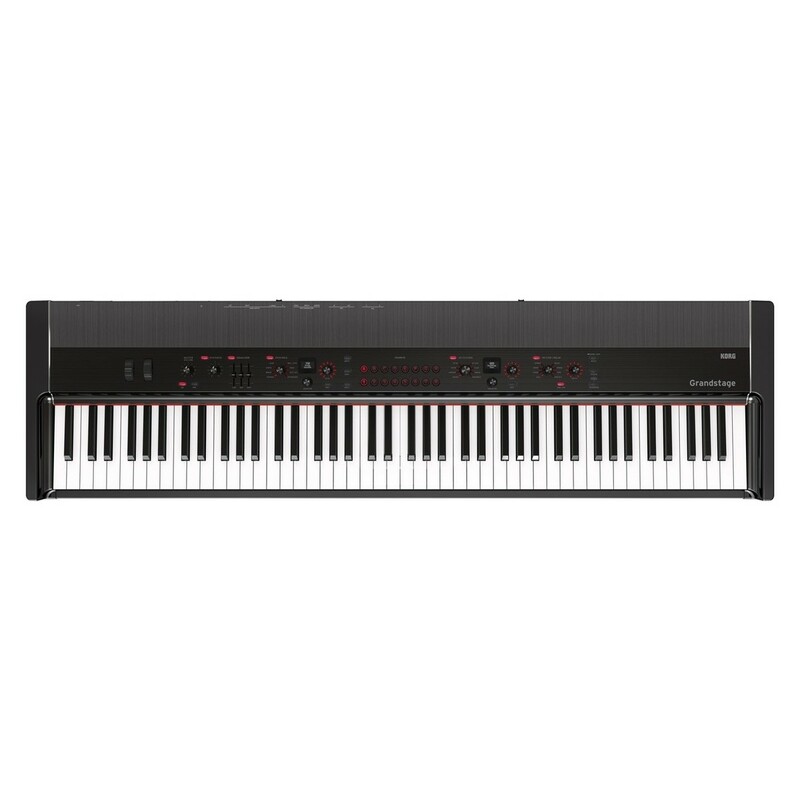 The Grandstage also has the capacity to convert your MIDI song track into a readable score and translate your music with total ease, all thanks to Korg’s intuitive MIDI technology.